The water surrounding the Solomon Islands and Munda are vital to local communities. They provide food, transportation and form the backbone to the local way of life. The local community owns the water surrounding their land from the high tide mark out as far as the villagers can paddle. 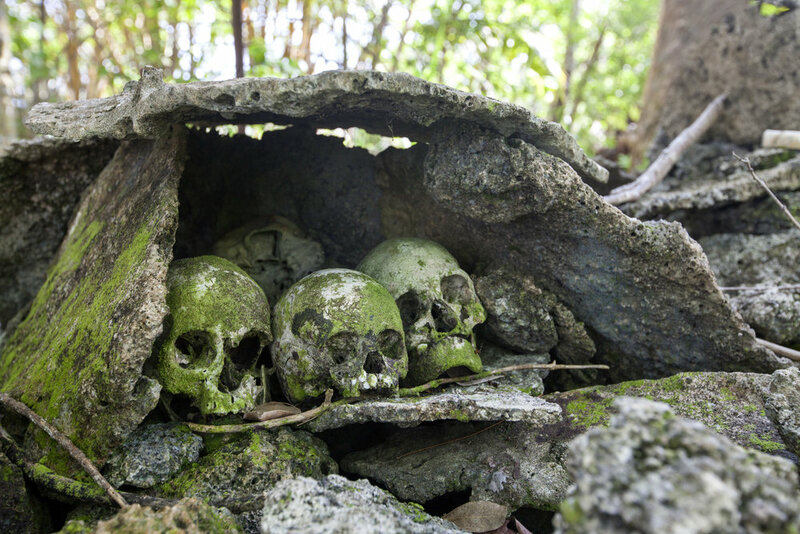 Chief's from each village, like those from Skull Island (picture above) collect Marine Kastom fees from all who use the waters as part of their ownership rights. This fee applies to all guests diving with Dive Munda and is currently $20AUD per person per day. The fee is tracked by our Dive Munda Director and is distributed among all of the villages where we dive, snorkel, moor or participate in village visits. Any excess funds are used to assist the villages in local improvements including marine conservation education programs and mooring buoy programs.